White Spruce feature short, bluish-green needles and a nice overall appearance, great for ornamental uses. This evergreen species features a conical shape which spreads fairly wide at the base if planted in the open. 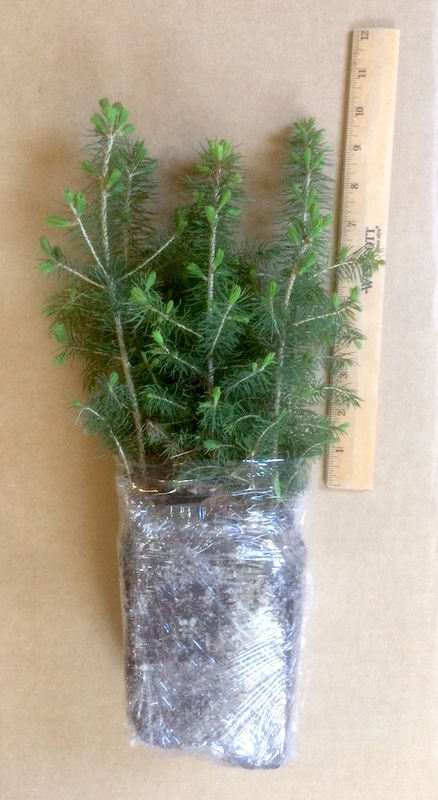 White Spruce plug transplants are excellent for use as windbreaks and privacy screens due to their generally thick growth combined with fast growth, an uncommon characteristic among evergreen trees. They tend to retain needles better than most other spruces. White Spruce are an important food source for grouse and other seed eating birds, as well as red squirrels. White Spruce are native to the northern United States and Canada, and are very tolerant of cold windy conditions, partial shade and wet soils such as stream banks and lake shores. White Spruce habitat is generally from Indiana north, although they grow at higher elevations in lower states. They are the most northern species of tree in North America.